Here in the United Kingdom, I cannot go online and read the Los Angeles Times, the Chicago Tribune or the New York Daily News. It’s not just me. These websites (and others) are inaccessible to most of the 500 million people living inside the European Union. Life goes on, of course, and we somehow get by. Nevertheless, there is something here worth thinking on. The reason we cannot access these websites is because they do not yet comply with the EU’s General Data Protection Regulation (gdpr), which came into effect last May. Created and approved by the European Parliament and Council, the gdpr regulates how companies handle the personal data of EU citizens. Any business that does not conform to these EU regulations could receive massive penalties. 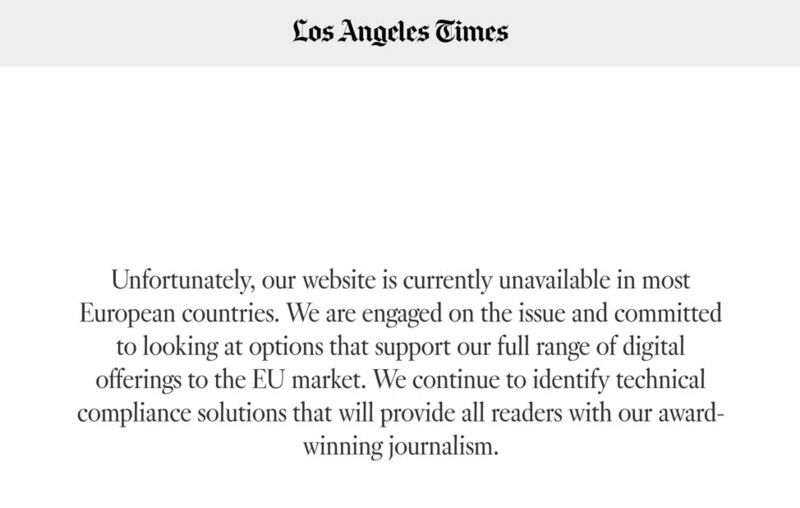 Some, like the L.A. Times, are choosing to abandon the EU market. This is raw imperialism—regulatory imperialism. The Oxford Dictionary defines imperialism as the “policy of extending a country’s power and influence through colonization.” The EU today is using the gdpr and other regulatory tactics to colonize the Internet. “Europe wants to conquer the world all over again,” wrote Mark Scott and Laurens Cerulus at Politico earlier this year. “Only this time, its killer app isn’t steel or gunpowder. [The gdpr is] an EU legal juggernaut aimed at imposing ever tougher privacy rules on governments and companies from San Francisco to Seoul” (emphasis added). Using the gdpr, the EU has invaded every home, government and corporation on Earth that uses the Internet. Across the planet, governments and corporations have had to invest millions of dollars and countless manhours to figure out how to respond to and comply with the gdpr. More than 500 million people live inside the EU; they are relatively wealthy, and more than 85 percent of them have access to the Internet. For many governments, businesses and other organizations, ignoring the European market isn’t an option. On the other hand, foreign companies cannot simply ignore gdpr. Failing to comply with the regulations could garner a fine of up to €20 million (us$22.7 million) or 4 percent of annual global turnover. In the end, if a government or corporation wants to do business with the European Union, it has only one option: surrender. The gdpr is not the EU’s only regulatory weapon. 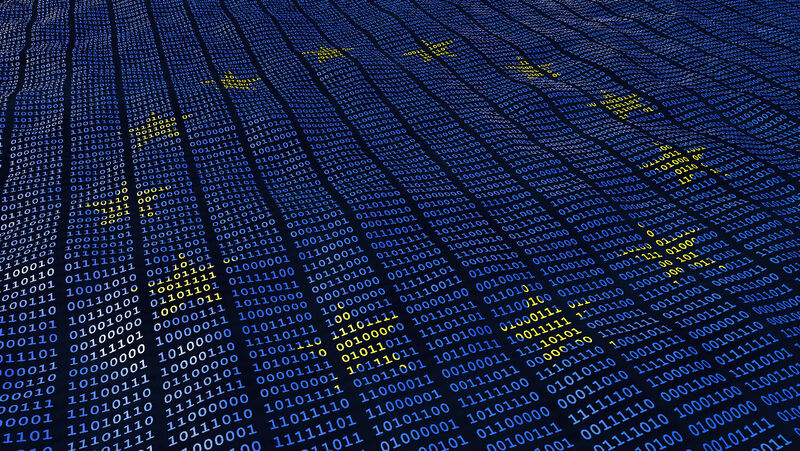 In January, the European Parliament is expected to formalize the Directive on Copyright in the Digital Single Market. This new law, approved by the Parliament in September, is an extension of the EU’s existing copyright laws, updated to work in today’s world of rapidly evolving digital technologies. This new EU law is terrifying U.S. technology companies, especially Google, Facebook, Twitter and YouTube. Many consider it to be an attempt not only to curb the power of America’s big technology companies, but to literally take over the Internet. YouTube ceo Susan Wojcicki said recently that it “poses a threat to both your livelihood and your ability to share your voice with the world.” This month, YouTube rolled out a global campaign seeking to educate people on the alarming consequences of the EU’s copyright directive. EU bureaucrats say the new law will protect people and content, and perhaps it will. But it also stands to harm people, businesses and, potentially, entire markets and economies, especially in America. The legislation is complex and incredibly vague. This is partly why it is so frightening to the likes of YouTube and Facebook. Ignoring the legislation will result in colossal fines. But for these technology giants and other companies, complying with the legislation will require overhauling major components of their businesses. There are also many questions about the administration and policing of the EU’s new regulations. At the end of the day, the EU bureaucrats are the ones who will interpret and enforce the law. This gives them incredible power and influence over U.S. tech firms, and over the entire Internet. There have been other regulatory assaults too. In the last couple of years, Google has been fined more than $7 billion by the EU. On Tuesday, consumer groups across Europe asked regulators to investigate Google over claims it is breaching gdpr by allegedly tracking the movements of users. And it’s not just YouTube and Google; Brussels has engaged in similar inquisitions against other Silicon Valley giants, including Facebook and Twitter. All this is not to say Google, Facebook and America’s big technology companies in general are above reproach. To be sure, there are genuine concerns and questions about the behavior of these companies and their inordinate power and reach. That said, do we really want a handful of anti-American, European bureaucrats trying to solve these problems? We have enough evidence proving that Brussels isn’t acting altruistically, in the best interests of mankind. The EU is clearly attacking America’s influence and trying to establish itself as the king of the Internet. Verses 16-17 clearly show that if people don’t accept this “mark”—if they don’t follow Europe’s rules—they will not be allowed to conduct business with this powerful and wealthy European superstate. Does this sound familiar? In spirit, this is what has already happened with the gdpr. It’s happening with the imminent EU copyright directive. The message behind both these initiatives is clear: Do business our way, submit to our rules, or we will shut you out of our market. We have yet to see the literal institution of the “mark of the beast,” but the EU today is operating in the spirit of the mark of the beast! If you don’t believe me, the next time you’re in Europe just visit www.latimes.com.